We had the pleasure of performing a demonstration for the Musee Sous-Marin or Underwater Museum in the picturesque town of Lorient in Brittany. This museum was founded by Christophe Cerino, a passionate Naval Historian and Archeologist. Christophe founded the museum over 20 years ago in an ex Nazi U-Boat base constructed from 1941-1942 to save the oldest submarine escape simulator in the world. Using video the museum allows visitors to discover the numerous wrecks scattered around the port. 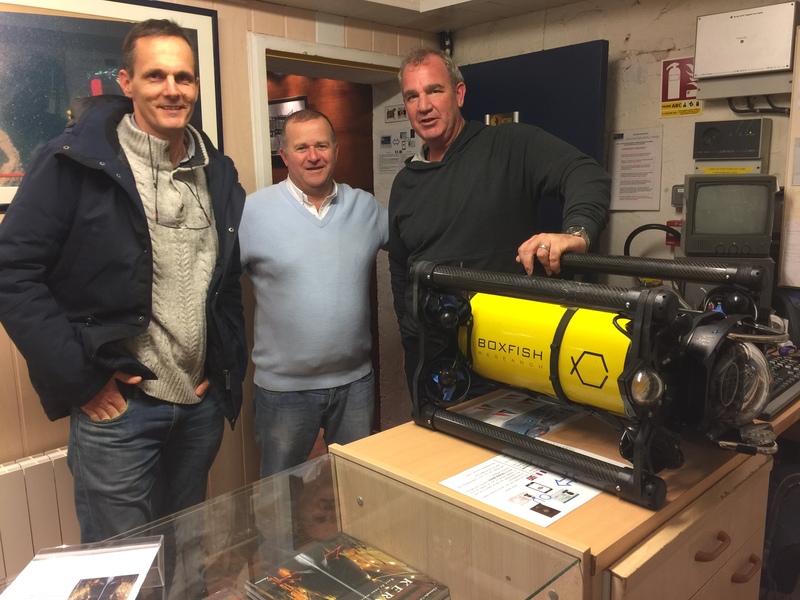 The museum is interested in the Boxfish ROV for its 4K UHD video recording ability and industry leading stability to further document some of the WW1 wrecks further out to sea at deeper depths. They also would like to refilm previous wrecks in 4K to enhance the experience for visitors. The personalised tour of the base and surrounding areas presented by Christophe was amazing and we urge all visitors to the area to go to the museum.